Ph.D. candidates are typically admitted in the Spring Semester and begin their training in the Fall Semester. Below is a list of milestones to accomplish assuming a start in the Fall. An academic year begins in the Fall (e.g. 2017) and ends in the following Summer (e.g. 2018). 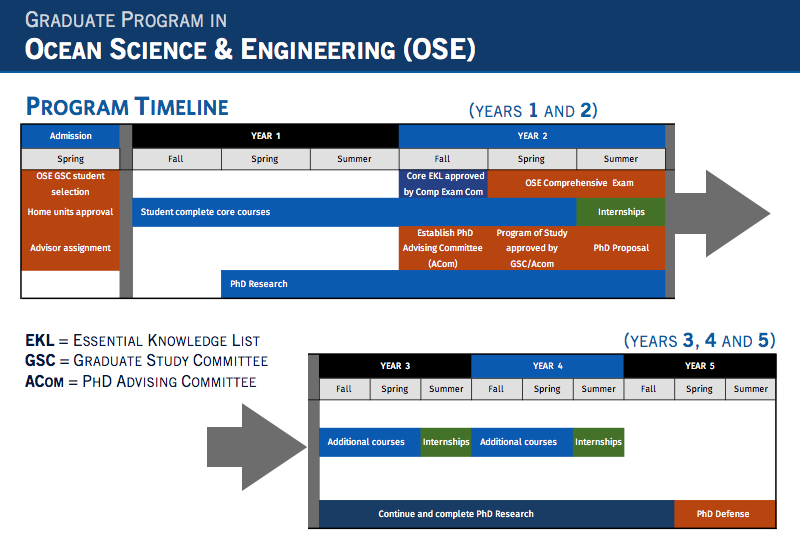 Below is a schematic view of the timeline.